I figured it was only appropriate that the first breakfast recipe I share in 2018 be one that aligns with my health goals for the new year! 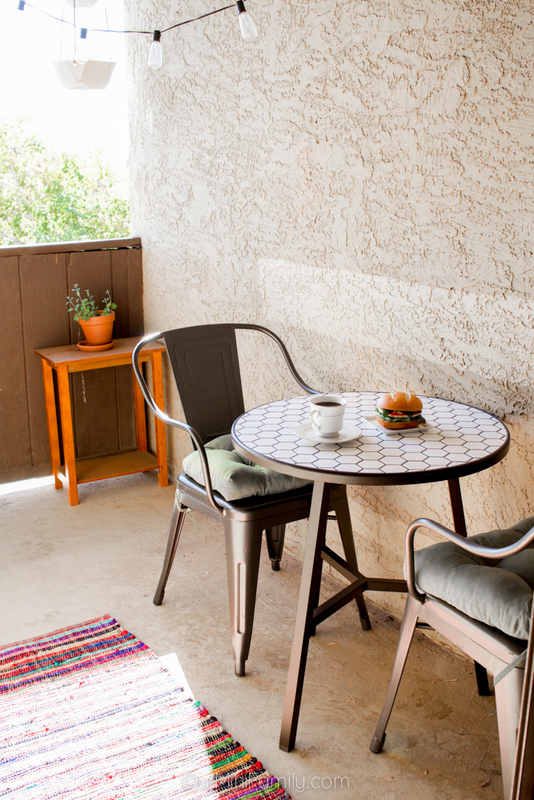 Every day, Adam and I make time to have breakfast. While I brew our pot of coffee, I heat up a pan and whip up a few eggs for the both of us to enjoy with either some toast, some veggies, or some hot sauce. 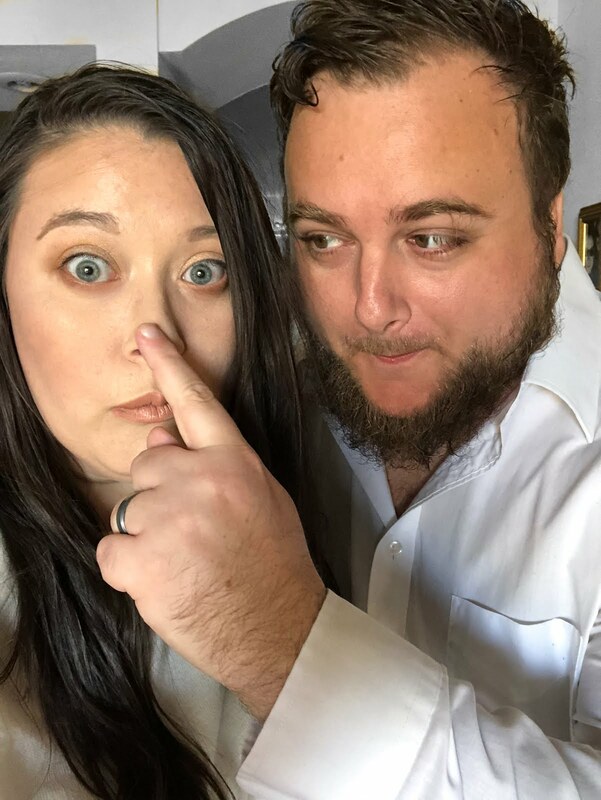 Before Adam and I were together, he would only ever enjoy eggs on a special occasion. For me, eggs have been a large part of my breakfast since I was in college and when I began cooking for myself. Since my diet has changed over the last couple of years and I have become more aware of what I eat and just how much I ingest every day, I have been adjusting my breakfast routine along with all of my other eating habits to find a way to enjoy what I eat while not going too crazy and starting my day off on a heavy note. 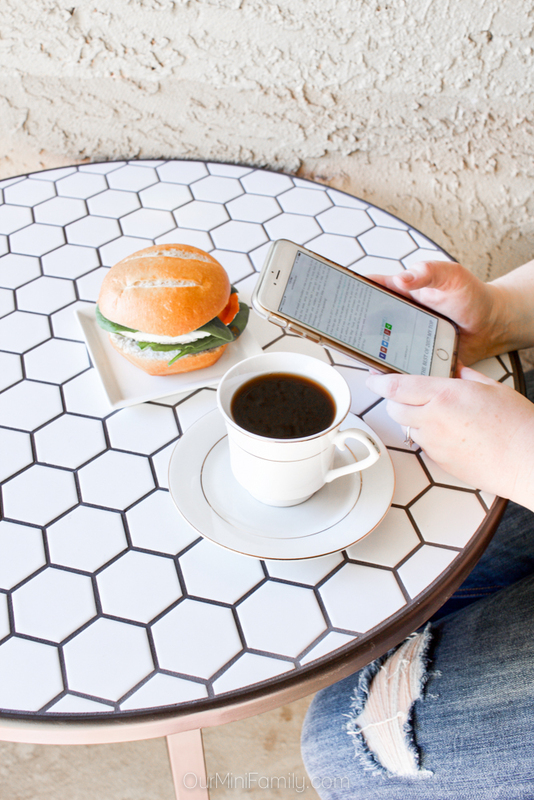 I always feel energized and ready to conquer my workload for the day after I enjoy a light and fluffy egg white breakfast sandwich that's packed with nutritious greens! This egg white, spinach superfood breakfast sandwich is a delicious and lighter spin on traditional breakfast sandwiches that are usually packed with foods that leave me feeling weighed down rather than feeling light and energized. After all, I want to feel ready to tackle my day after I eat breakfast (and not feel like I need to go back to bed and sleep it off). 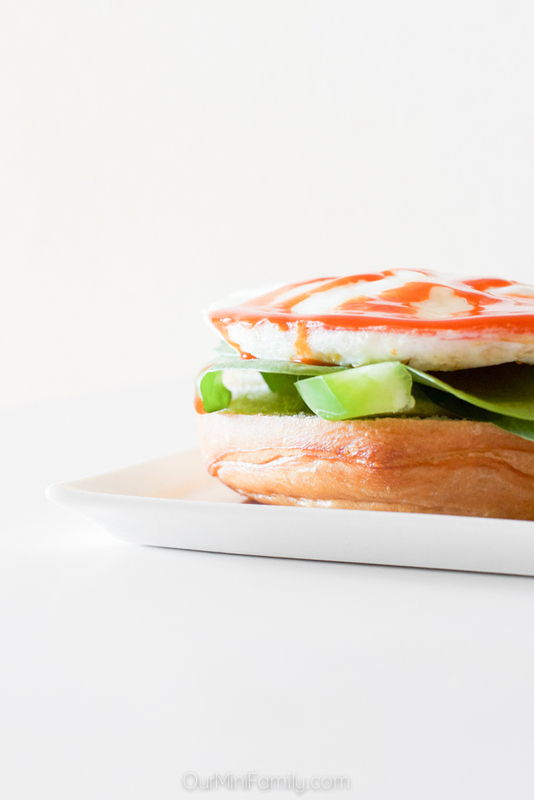 This breakfast sandwich is easy to prepare and it tastes delicious! 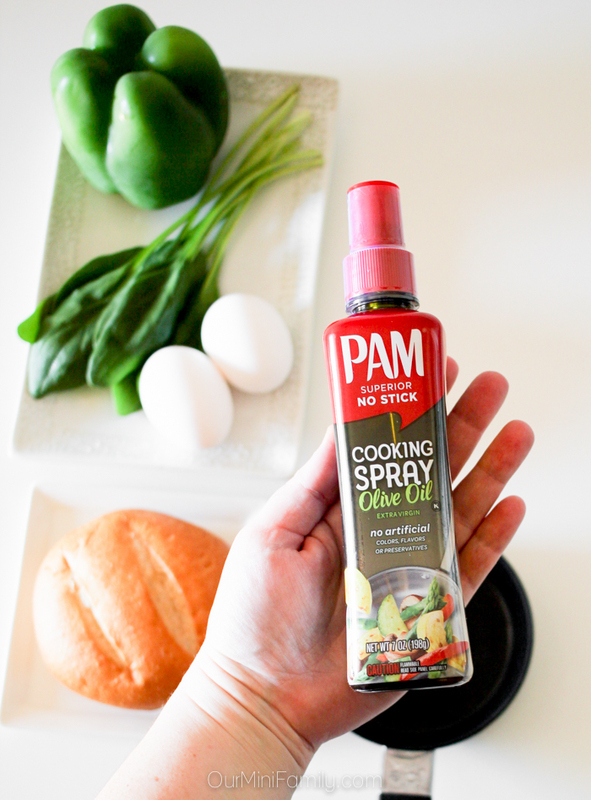 Lately, I have been cooking my eggs on a small, circular hot plate that is prepped with the NEW PAM® Spray Pump Olive Oil! 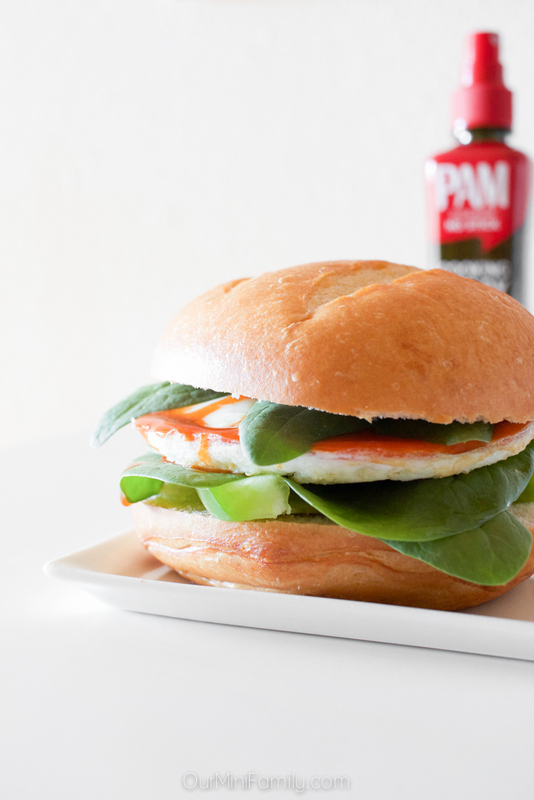 The small hot plate allows me to easily cook an egg that's ready to be put on a sandwich, and the PAM® Spray Pump Olive Oil allows me to control how much oil I pump onto my pan to properly cook the eggs without oversaturating them in oil. It is made with the same non-stick ingredients free of preservatives and artificial colors and flavors that traditional aerosol PAM® sprays have, but, the PAM® Spray Pump Olive Oil allows me more control so I can really be precise with how much oil I pump in the pan. The PAM® Spray Pump Olive Oil comes in handy as my cooking sidekick almost any time I am making breakfast, as well as when I am needing to cook or saute a few vegetables. I grabbed it at Walmart, along with all of the other ingredients I used for this delicious, egg white breakfast sandwich recipe idea! Earn $1 when you buy one (1) PAM Spray Pump Olive Oil or Canola Oil while supplies last! 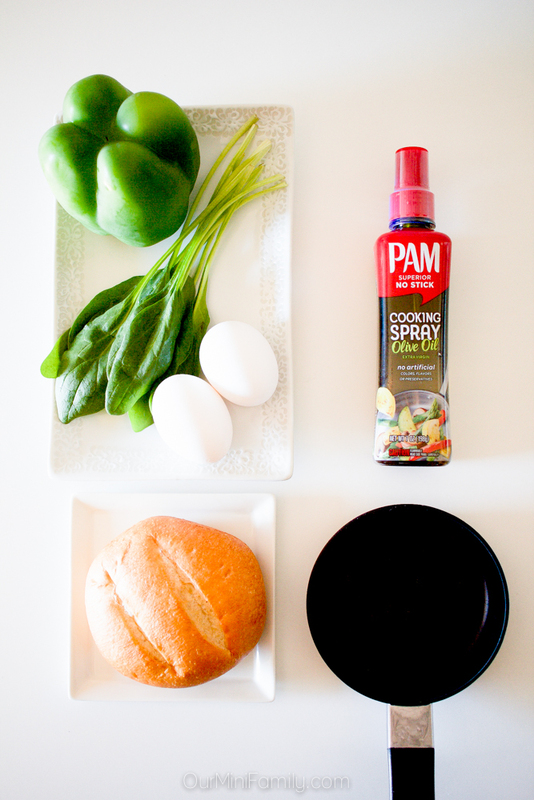 Prepare a small, circular stovetop pan with 5 sprays of PAM® Spray Pump Olive Oil. Warm the pan to medium-low heat. Wash the spinach and bell pepper with water and remove any dirt/debris, and then use a paper towel to dry them and remove the water. 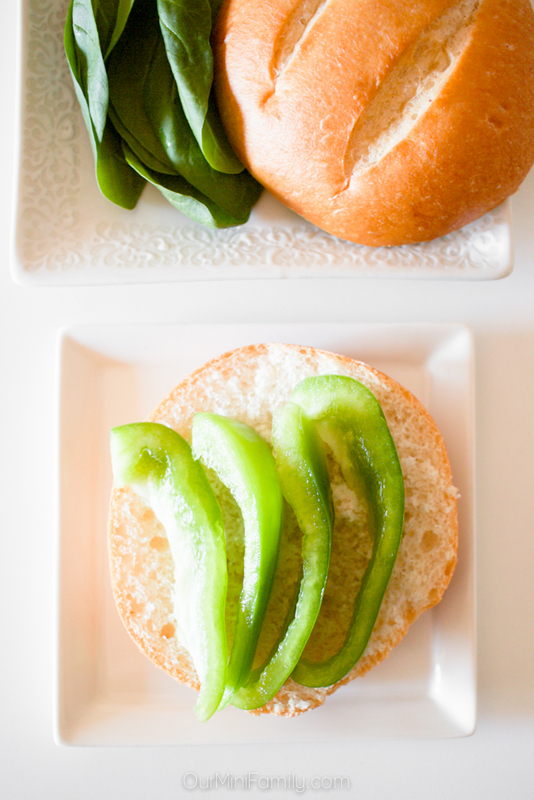 Prepare the sandwich on a plate with the bell peppers on the bottom, along with half of the spinach leaves. 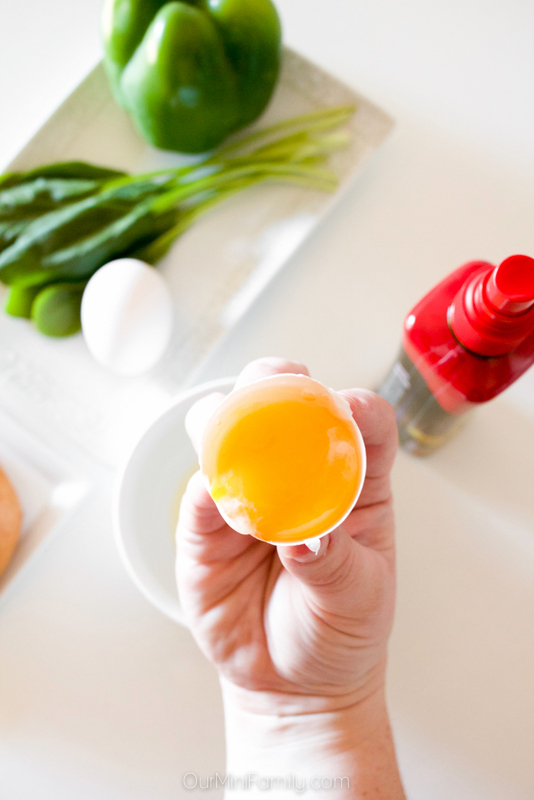 Crack open the eggs and separate the egg whites, and toss/store away the egg yolks. Once the pan has been warmed up, pour the egg whites into the pan. Once the egg white has begun to harden, use a non-stick spatula/fork to gently lift the edges of the egg from the sides of the pan (this will help ensure you can easily remove the egg from the pan in one piece). When the egg is cooked all the way through, remove it from the pan and put it on the sandwich. Drizzle the egg white in hot sauce and the remaining spinach. Enjoy! Save on PAM® Spray Pump Olive Oil while supplies last! This sounds so good. I seriously got excited seeing the picture, I love eggs and spinach. And of course we have to use Pam, they're the best. I love how you and Adam put aside time each morning for breakfast together! I love this yummy breakfast sandwich. 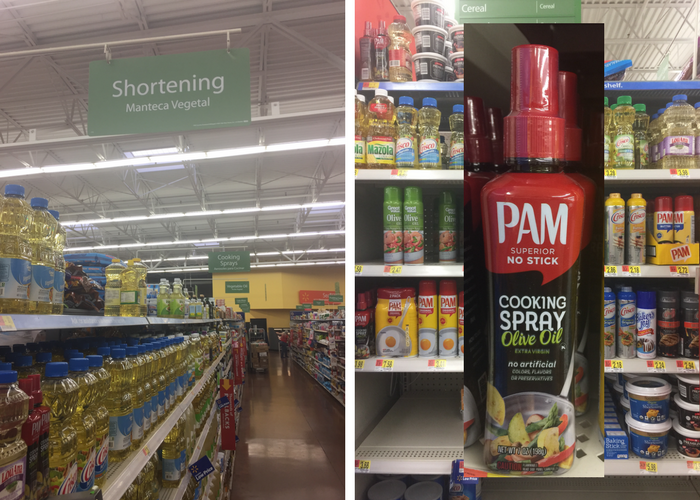 And I am a huge fan of Pam cooking spray! You had me at superfood sandwich! I love the egg and spinach combo and the addition of the green peppers and hot sauce sounds delicious. I would totally gobble this up for breakfast... and even lunch! Love the fact that you used spinach! I imagine even arugula would taste great with this. I love this, so healthy my family would love this. Unfortunately I can't have eggs but I am still salivating. this looks soooo bomb! I love egg sandwiches! And I have been wanting to try that pam spray forever! Yum! I always love a healthy breakfast! What’s not to love about the ingredients! 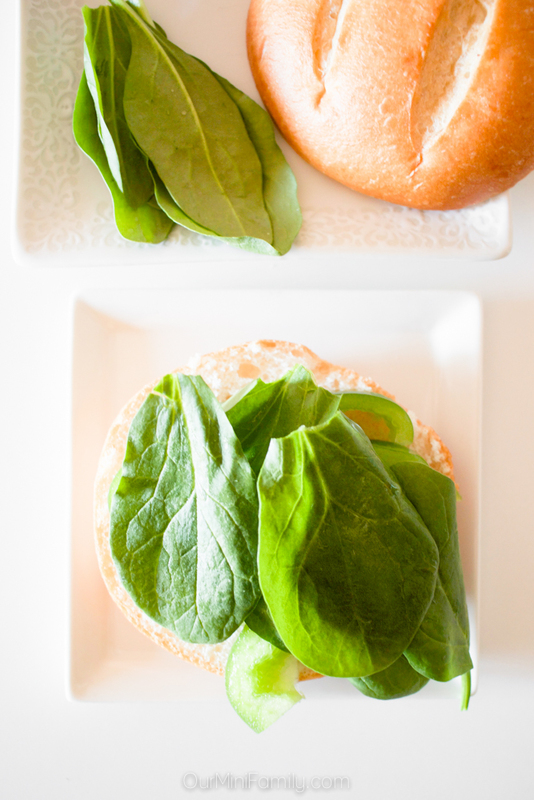 I’m a big fan of spinach and this looks like a great sandwich to enjoy in the mornings! I always have a better day when my breakfast is on the lighter side too. Now this is what i am talking about. You had me at superfood sandwich! I can't wait to try this. 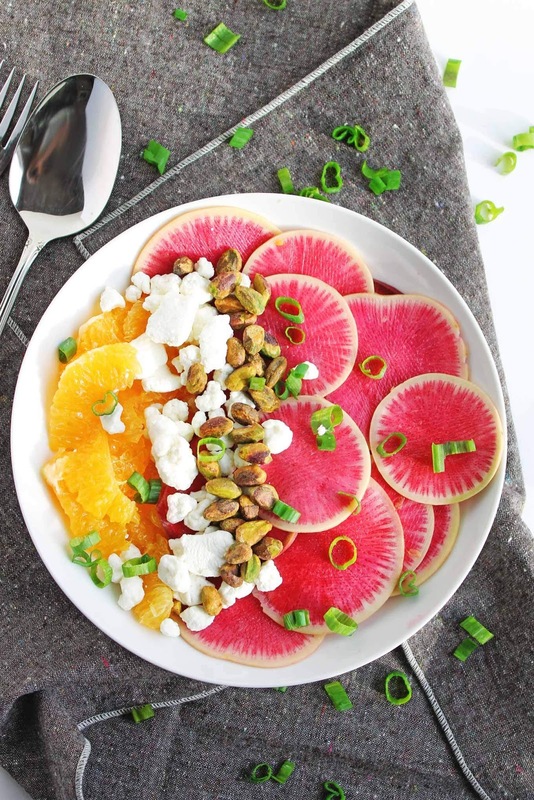 This look super yummy and so easy to make! Can't wait to try this recipe. This looks delicious, although I would probably keep the egg intact with the yolk, and maybe add a slice or two of avocado! It looks like another good way to add spinach to the diet, especially if you're not a fan of cooked spinach! I usually add spinach leaves to my green smoothies, as well as mixed in with other salad greens.